I have recently come across an article about the so-called "Mirror Test", which is used by neurologists to examine the self-awareness of animals based on whether or not they can recognize themselves in a mirror. Among the ‘lesser’ creatures the great apes, dolphins, elephants, and rats are the only ones confirmed to recognize the image in the mirror as themselves. Humans, out of interest, are only able to accomplish the test after they’re 18 months to 2 years old. Dogs have been ruled complete failures at self-awareness which can be explained by the simple fact that they are relying primarily on senses other than sight. Having said this, there is a group of poodle owners who are gathering in respective internet forums to debate their fervid disagreement with this assumption. 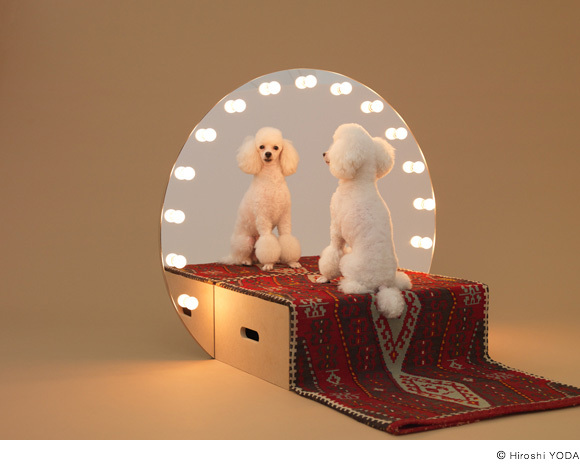 They claim that their poodles are reacting positively to mirrors and displaying unmistakable signs of self-awareness. If this is true, it would perfectly underline two quality characteristics about poodles: that poodles are notoriously finicky about their looks, and that they are highly intelligent. According to the book "The Intelligence of Dogs" (by Stanley Coren) poodles are ranked among the top three in working and obedience intelligence, which refers to a dog's ability to learn from humans, which leads to only one logical call: poodles for president!" Konstantin Grcic, born 1965, was trained as a cabinetmaker at The John Makepeace School for Craftsmen in Wood (Dorset, England) before studying design at the Royal College of Art in London. He established his own office, Konstantin Grcic Industrial Design (KGID), in Munich in 1991. 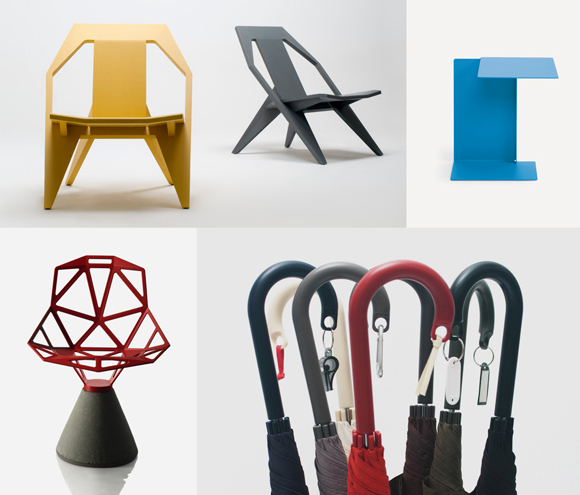 Since then he has developed furniture, products and lighting for some of the leading companies in the design field.